Please note that your car must be clean in order for us to proceed with the inspection. Any evidence of dirt or neglect may result in your claim not being accepted. Inspection and photos are taken by a Corrosion Specialist at the Dealership. 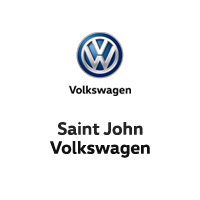 Your request is then sent to Volkswagen Canada for evaluation. The corrosion/perforation claims process may take up to one month, and even longer in exceptional cases. We will follow up once a decision has been made. Thank you for your patience. To select multiple options, hold the "Control" or "Command" key.